Conceived as a sportier and more luxurious replacement for the VW Passat, this spirited four door sedan will give luxury vehicles like the Audi A5 Sportback, the BMW 4 Series Gran Coupe, and the Mercedes-Benz CLA a run for their money. With the Arteon you’ll get competitive features, but with better pricing. The 2018 Arteon will meet pretty much every expectation for a high-performance, luxury vehicle and even exceed them in some aspects (more on that below). But it’s expected to only start around $40,000 at Edmonton’s Norden Volkswagen. 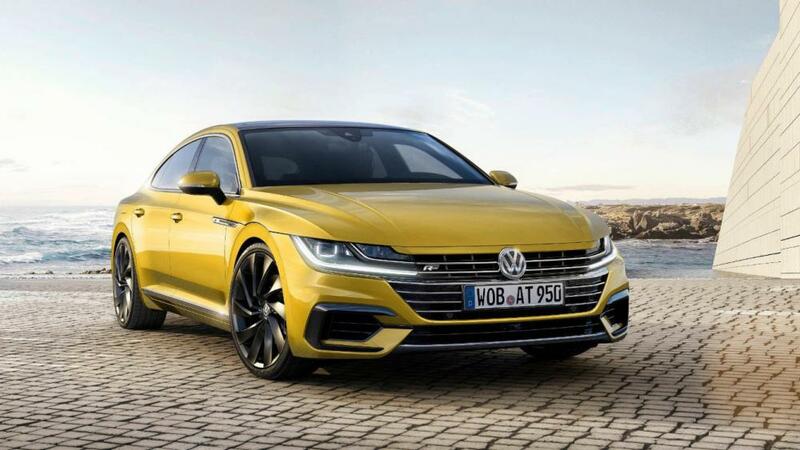 With the Arteon, Volkswagen is set to depart from their typically conservative designs in favour of something more bold. The Arteon retains the same MQB platform that’s at the base of the Passat. But aside from that there’s not too much you’ll recognize between the two. The front end of the vehicle has been overhauled, blending the grille, LED headlights, and lower intake into one large ventilated surface. A long rear overhang follows the front’s sleek aquiline curvature to give the car a sporty look. When you enter the vehicle via its frameless glass doors, you’re greeted with a spacious and attractive interior. It features a 9.2 inch touchscreen that’s been programmed to respond to voice commands, recognize a few hand gestures, and support Android Auto and Apple CarPlay. What’s more, the futuristic digital Active Info Display on the dashboard makes checking your instrumentation gauges, choosing your music, and navigating extremely simple. Wood accents give the Arteon’s cabin a warm feel. Comfortable front bucket seats (made of a carbon-fibre-imitating pattern and fake leather) will calm you down with their massage function. Best of all, most of the the Edmonton Arteon’s features come standard. The only additional options you could include to your package are a sunroof, a better sound system, and 20-inch turbine shaped wheels (to replace the standard 19-inch wheels). The 2018 Arteon has a 4Motions all-wheel drive system that imparts torque through a seven-speed DSG (dual-clutch) transmission and a 2.0-litre turbocharged inline four-cylinder engine for an output of about 276 HP and 280 lb-ft of torque. Moreover, the Arteon boasts an impressive sprint time of 0-100km/h in 5.6 seconds. This puts it up to speed, so to speak, with its pricier competitors. In terms of fuel economy, the Arteon gets a combined 7.5L/100km, which places among the top of its class. The car also comes with an idle-stop system that will save you gas by almost completely deactivating your engine whenever you come to a temporary standstill and reactivating it when you’re rolling along again. There are several driving modes you can use to adjust the throttle calibration, gearbox shift points and steering resistance. Modes vary from Normal, Sport, Comfort to Eco, and in concert with the Arteon’s all-wheel drive system, they’ll allow you to pick the balance that suits you. And get this: engaging lane assist and adaptive cruise control together will trigger the Arteon’s Emergency Assist function. This keeps the driver and passengers safe in the event that the driver should become incapacitated. If you don’t respond to the warnings and prompts the car sends you when you’re swerving outside the lane, the Arteon’s onboard computer will assume you’ve become indisposed in some way and will attempt to wake you up, throw on the hazard lights, and if all else fails and you’re truly out cold, will move your car onto the road’s shoulder and come to a full stop when it’s safe to do so. “Never has there been a sexier Volkswagen,” according to Klaus Bischoff, VW’s design director. Aiming for the luxury car big league, Volkswagen is attempting to compete with the likes of Audi and Mercedes for the luxury sedan market. With this evocative number, we have no good reason to doubt it’s success. The Arteon is for lovers of fast cars, great design, and advanced tech.